My last outing before a small fishing break was hitting the Feather River this morning. Its getting pretty close to the egg bite and fishing pressure is going to surge up on the Feather soon. The more pressure, the more difficult it will be to hook into chrome. I did pretty well today with three hook ups and one landed. The water being cold made it ideal for salmon and steelhead. After not doing so well with my regular route, which was probably suited for spring-run fish, I changed the body of water that I would cover first and did much better. It seems like the first two steelies I hooked into were taking my midge dropper which made fighting them difficult. I lost both. 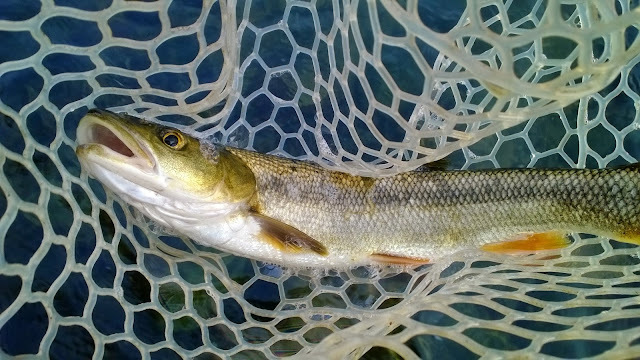 Later in the day I caught a greedy little squawfish on my egg pattern. 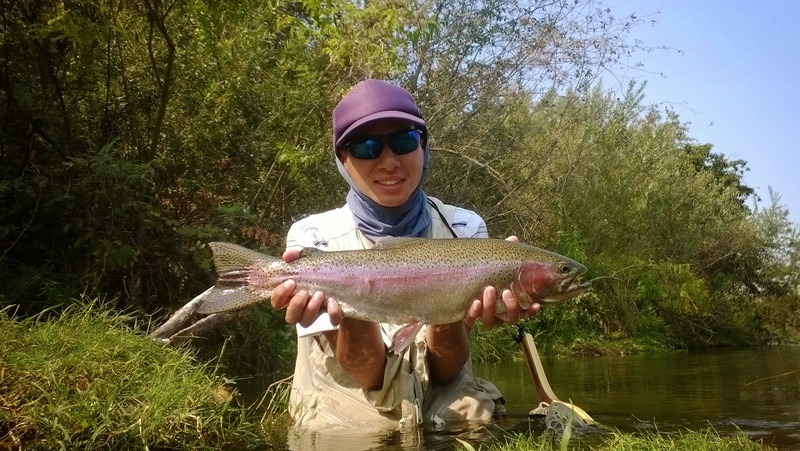 The highlight of my outing was landing a mundo 6+ pound 22'' steelhead. After stalking it on top of a bluff, I watched as it harassed a salmon for her eggs. Target acquired. I made my way down the bluff as quietly as I could and tied on my indicator and egg pattern and made a few casts. Nothing. I decided to take off my indicator and let my fly bottom-bounce downstream. Nothing the first drift. One more drift then bam! The steelies hit like a truck. Line ripped out of my reel as the fish sped downstream. This was it, the fish that I was looking for. I chased after it but had to do some tricky wading as some of the river was too deep to navigate through. As it started to stop ripping line I started stripping in line as fast as I could to make sure I was still in contact and tight. My fly line got stuck on a few bushes and branches as I ran downstream. Having to stop twice in order to throw the snagged fly line back into the water, I felt a lost in tension. Did I lose it? Nope. The fish made its last run down a riffle in an area where I could finally land it. It was pretty tough to net a fish like that by myself but I managed to do it.